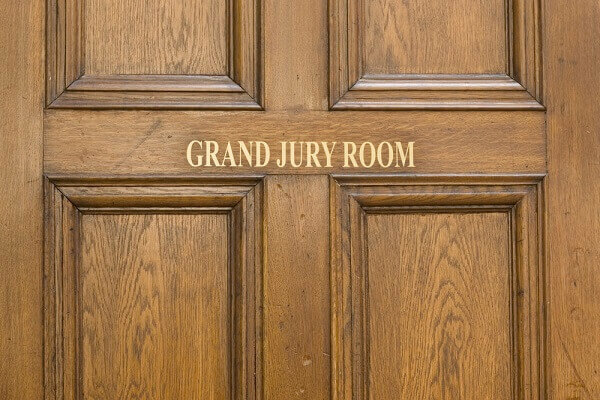 What Can You Expect in a Grand Jury Subpoena? The federal grand jury process is a unique proceeding that can have significant consequences for those who are called to testify. Federal prosecutors use grand jury proceedings as a means to gather evidence from individuals who may either be witnesses to suspected illegal activity or suspects in the government’s investigation. However, it is not unusual for individuals who testify as witnesses to subsequently become targets in civil or criminal prosecutions. For this reason, upon receiving a grand jury subpoena, it is critical to respond appropriately. This is true regardless of whether you have reason to suspect that you may be the target of a federal investigation. Ignoring a grand jury subpoena is ill-advised as it both (i) can lead to imprisonment for contempt, and (ii) is not likely to protect you against the obligation to testify. The best approach is to discuss your grand jury subpoena with a federal defense lawyer as soon as possible, and execute a strategic defense strategy designed to minimize your risk of federal prosecution. When you receive a federal grand jury subpoena, you have a legal obligation to respond. This response can be in the form of a motion to quash the subpoena (if you have grounds to challenge your subpoena’s validity) or in the form of compliance (i.e. showing up in court to testify at the appropriate date and time). In many cases, the best option will be to submit a partial challenge to the government’s subpoena in order to try to limit the scope of the information you must be prepared to provide. When you are served with a grand jury subpoena, you have the right to seek legal representation. When choosing an attorney to represent you, it is important to understand that not all law practices are alike. There are far fewer attorneys that handle federal grand jury subpoenas than state grand jury subpoenas, and fewer still who have extensive experience (and a significant record of success) in federal health care fraud and other white-collar criminal investigations. However, while you are entitled to legal representation as you prepare your testimony or document protection (and if you choose to challenge your subpoena in federal court), you are not entitled to have your attorney present in the grand jury room. You will need to appear before the grand jury alone. And if you need legal advice during the grand jury proceedings, you will need to ask to consult with your attorney outside of the grand jury’s presence. A federal grand jury subpoena can request documents, testimony, or both. A subpoena that requests documents is known as a subpoena duces tecum, while a subpoena that requests testimony is known as a subpoena ad testificandum. If you have custody of records that are relevant to the government’s investigation, you may simply be asked to produce the documents and verify their authenticity. If you are asked to testify, you will need to be prepared to respond to all inquiries truthfully and to the best of your ability – unless it is in your best interests to assert your Constitutional rights. Similar to a trial jury, a grand jury consists of private citizens who have been called to serve in compliance with their civic duty. However, unlike a trial jury, a grand jury does not weigh evidence presented by both parties and it does not determine guilt or innocence. Instead, the grand jury’s role is to aid in the government’s investigation and determine whether there is sufficient evidence to support an indictment. Upon hearing testimony from all subpoenaed witnesses and considering all of the documents and other evidence presented, the grand jury will then either issue what is known as a “True Bill” or a “No Bill.” If the grand jury issues a True Bill, this means that the grand jurors have determined that is probable cause to believe that the target of the government’s investigation has committed the alleged criminal offense. If the grand jury issues a No Bill, this means that the grand jurors have determined that there is insufficient evidence to support a criminal prosecution. Assuming that you do not have grounds to successfully challenge your grand jury subpoena in its entirety, you will need to promptly begin preparing your testimony or document production. Grand jury subpoenas can demand an extraordinary amount of information, and preparing thoroughly is they key to avoiding mistakes and being held in contempt of court. Meet with your attorney – You should meet with your attorney as soon as possible to determine the scope of the subpoena and identify any potential grounds for filing a motion to quash. Determine the nature of the investigation – Are you being targeted in the government’s investigation? Are you being subpoenaed as a witness? In either case, what are the specific allegations involved? Knowing the answers to these questions will help you make informed decisions about how you respond to the government’s request for information. Preserve relevant records – In order to avoid facing court sanctions for “spoliation” or destruction of evidence, you will need to take appropriate steps to preserve any responsive electronic or hard-copy documents within your possession or control. Anticipate questions – Working with your attorney, you should seek to anticipate the questions that you are likely to be asked during the grand jury proceeding and make sure you are prepared to respond appropriately. Strategize – Aside from preparing your answers, what is the best overall strategy for protecting yourself against criminal prosecution? When and how should you request to speak with your attorney during the grand jury proceedings? What other steps can you take (outside of the grand jury process) to mitigate your potential exposure? The more you strategize in advance, the better able you will be to protect yourself against undesirable consequences. Schedule a Confidential Initial Consultation at Oberheiden, P.C. Have you received a federal grand jury subpoena? If so, we strongly encourage you to contact us for a free and confidential initial consultation. To speak with one of our experienced federal defense lawyers in confidence, please call (888) 519-4897 or inquire online now.